We would like to thank Crazy Gatorland Carts for their recent donation of $660 worth of batteries for our golf cart. It will soon be fixed and we will be able to use it around the farm. We thank you for your support! As many of you know, we are working on all kinds of projects here at the farm. 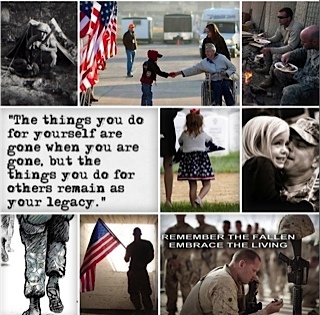 At this time, we are asking for some financial assistance from our supporters to enable us to continue to support military veterans and their families. To that end, we are running an Indiegogo fundraising campaign and are asking for everyone to take a look, consider contributing and, very importantly, share our campaign with friends and businesses you know that might consider supporting us. We thank all of your for your support and consideration, we’ll keep you posted on our progress and our projects as they move forward. We had some sad news in the loss of our furry friend Elle who has greeted visitors at the farm daily since opening and will be sorely missed by all of us. On a brighter note, we’ve got some adorable new chics that are almost ready for y’all to come and visit. 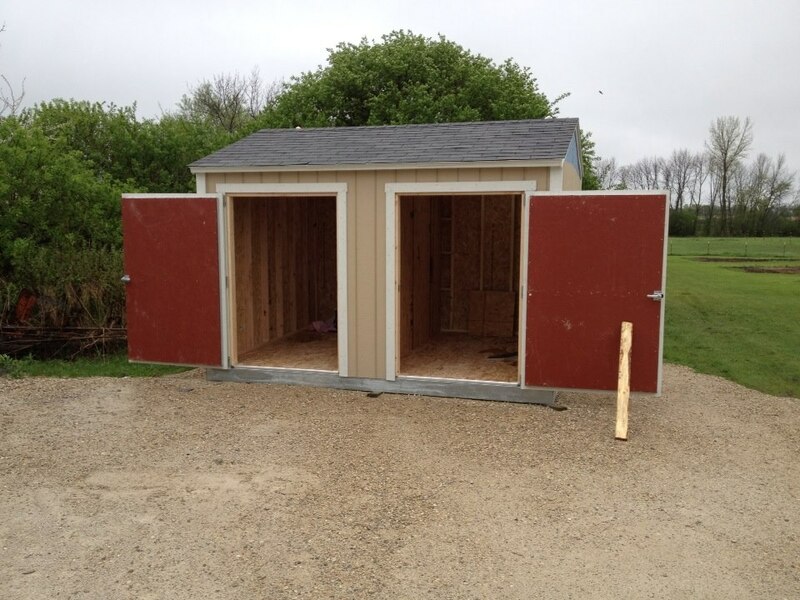 And best of all, the folks at DK Contractors (who donated and delivered the stone) and Tuff Shed made possible these awesome new clubhouse (and a handicap bathroom) for our Kids Ranks kids … the Tuff Shed guys worked past dark to get these done! We are so thankful and these are absolutely awesome. Watch our Facebook and Google+ pages for updates, more photos, etc. Elle … we will miss you! 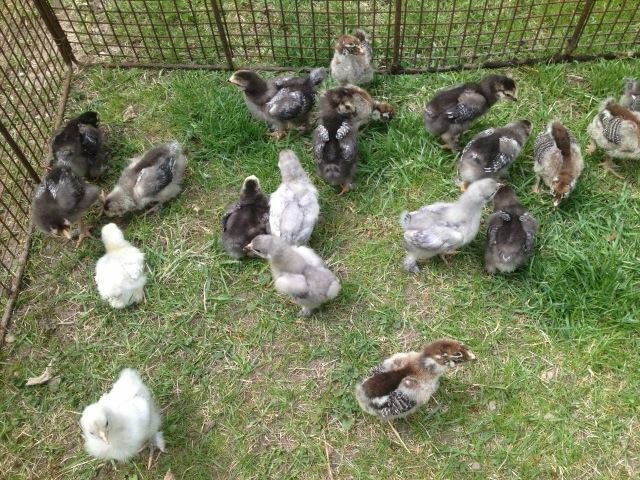 Baby Chics on their first adventure outside. Club Houses going up fast! Club Houses are up … awesome! Club House bathrooms are ready to be plumbed out. How cool!